This area is at the crossroads of the great cuisine of Louisiana. If you want a delicious gumbo, some mouth-watering seafood or a perfectly prepared steak, you can find it within 15 minutes of The Harbor Center. Ethnic foods are also prevalent- Italian, Asian, Spanish and Greek offerings proliferate at many large and small venues in all price ranges. 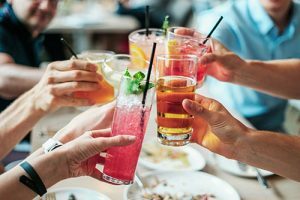 Remember that New Orleans chefs and bartenders have migrated to the Northshore so there is no shortage of fine dining, and those famous regional cocktails like Sazaracs, Pimms Cups, and Mimosas. Food is an important part of the Louisiana and Northshore experience.